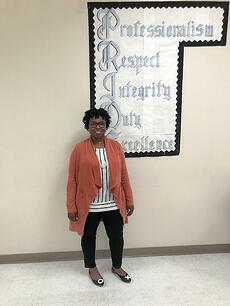 Dr. Sharita Giles, principal at Tallahatchie County Correctional Facility in Tutwiler, Mississippi, believes in the power of education. In fact, she earned five degrees in just 18 years, while working as a full-time educator and raising four children on her own. Despite the challenges of being a single, working parent, she remained focused on her academic goals, earning scholarships to help fund her schooling. While Dr. Giles has worked tirelessly to advance her education and career, she humbly attributes her success to the teachers who invested in her along the way. Now she's paying it forward by helping inmate students at Tallahatchie prepare for reentry and a brighter future. "I am always seeking opportunities to better myself as an educator, and working in corrections has challenged me to reach new levels of growth," said Dr. Giles. With more than 13 years of teaching and leadership experience in Mississippi public schools, Dr. Giles uses proven tactics to help students excel. For instance, she has found that a student can build confidence by working math problems on the white board while other students watch and learn from their seats. "Board work helps students build the confidence necessary to address an audience," said Dr. Giles. "And public speaking skills will help them tremendously as they reenter the professional world after release." Dr. Giles and her team work diligently to ensure each program curriculum meets students' learning needs. They use data from students' assessment testing to develop individual learning plans, which enables students to progress at their own pace. "The academic instructors use a technique called instructional grouping, which divides the entire student population into different learning levels," said Dr. Giles, "We have found great success in tailoring our teaching approach to students' unique learning needs." 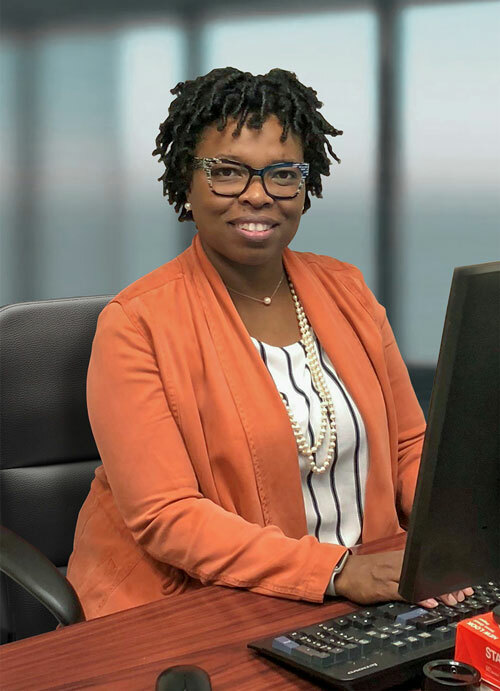 Since Dr. Giles joined CoreCivic as principal in 2015, more than 180 students have earned a GED, and the facility has awarded more than 1,500 Industry Recognized Certificates (IRCs). Notably, Tallahatchie's Education Department exceeded its 2016 goal for awarding GED certificates. And in 2017, the facility awarded 91 GED certificates and 352 IRCs. "Dr. Giles' leadership skills are evident in the way she selflessly serves both her students and co-workers," said Michelle Cotter, CoreCivic director of Educational Services. "Because of her exceptional work, our department selected her for the Outstanding Academic Leader award in 2017." Thanks to Dr. Giles and her dedicated staff, by graduation, Tallahatchie students have the confidence and skills to lead their own ceremony. They recite poetry and give uplifting speeches, addressing an audience of the faculty. "I truly believe the students' lack of confidence is one of the biggest barrier to successful reentry," said Dr. Giles, "By the time they reach graduation, that barrier no longer exists. And that's something we all can be proud of."